Well, it must have struck a chord with some iodine supporters out there… because I received some pretty opinionated email responses. You can’t overdose with the diet Americans eat today. The Japanese consume way more than what is considered our daily allowance. No side effects there. No, this isn’t the first time I’ve heard this myth and odds are you’ve heard it too. But here at Forefront Health we don’t buy into myths and assumptions, especially when research says otherwise. Don’t worry, we’ll put an end to the Japanese myth in just a second. Yet, these responses just go to show you that there are some pretty big misconceptions about iodine out there that really deserve some more attention. The honest truth is that we don’t only have to be concerned about iodine supplements today. We also have to be concerned about the iodine in our food. How Much Iodine Are You Getting? Of course, there is a lot of variation from person to person with respect to the amount of iodine people consume on average per day. There are certainly some people who are truly deficient in iodine although this is quite rare today. Seeing as how the recommendation for iodine is currently 150 mcg per day, it should be easy to understand how one can effortlessly achieve the recommended amount. Getting enough iodine in your diet is oftentimes achievable in a single meal. A single serving of fish with a potato alone can provide you more than enough iodine in a single serving. This is without the inclusion of additional sources of iodine that most people are exposed to on a daily basis such as iodized salt. 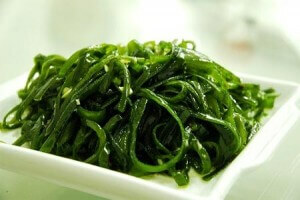 The idea that seaweed, kelp, and other sea vegetables are rich in iodine and therefore must be healthy for your thyroid has led many to label iodine-rich foods like seaweed as super-foods. Seaweed is even making it into the mainstream American diet with the emergence of various packaged seaweed snack packs available at just about any health food store today. 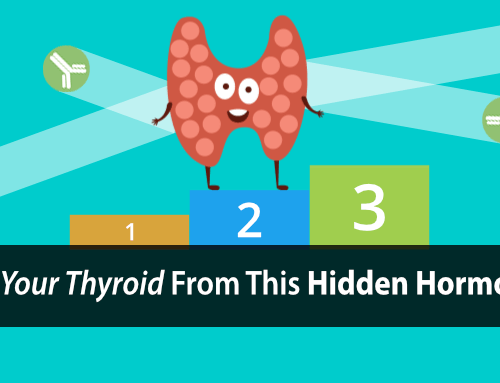 But the extremely high iodine content can quickly become counter-productive for your thyroid. Many types of seaweed provide as much as 4,500 mcg of iodine per ¼ oz., which is 30 times more than the recommended daily allowance. Oftentimes we look at the Japanese as the epitome of health and blindly assume that they consume large amounts of seaweed and iodine and have no thyroid issues. Yet, here’s an interesting research study showing quite the opposite. This one shows that regions of Japan with higher iodine intake have a drastic increase in the prevalence of hypothyroidism and thyroiditis. And the more iodine they consume, the worse it is. Association between dietary iodine intake and prevalence of subclinical hypothyroidism in the coastal regions of Japan. Do you think that iodized salt is protecting you and your thyroid? Maybe… if your idea of protection is thyroid cancer and Hashimoto’s thyroiditis. And considering that Hashimoto’s thyroiditis is believed to be the most common cause of hypothyroidism today… it makes you wonder if iodized salt could play a big role in that. 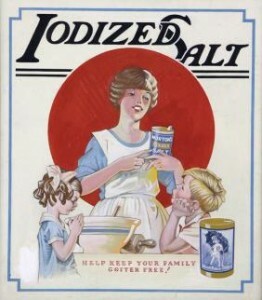 During the mid to late 1800’s iodized salt was beginning to be used to reduce the prevalence of goiters (enlarged thyroid gland) in many countries. During that time, iodine deficiency was a much bigger issue. But as you can see by simply looking at the table above, referencing the iodine content found in common foods today, iodine deficiency is not as common you as might think. Seeing as how as little as ¼ tsp. of iodized salt provides almost your entire recommended daily allowance of iodine, it should be easy to see how the use of iodized salt can have quite the dramatic effect on your daily iodine intake. There are numerous long term studies showing the negative effects of introducing iodized salt to populations believed to be iodine deficient. And they consistently show increased rates of thyroid cancer and thyroiditis. Thyroid cancer and thyroiditis in Salta, Argentina: a 40-yr study in relation to iodine prophylaxis. It is also well known that hypothyroid sufferers lose sodium rapidly through their urine. Because of this, your need for salt (sodium) increases when you become hypothyroid. However, increasing your use of iodized salt only further compounds this problem and increases your risk of iodine toxicity. This is one reason why it is advisable to get your iodine from other dietary sources and to avoid iodized salt altogether. Many practitioners who support using high doses of iodine for hypothyroidism also push various tests to determine your potential for iodine deficiency, most of which have been proven to be scientifically invalid. One such unscientific test that has gained popularity is the iodine spot test. 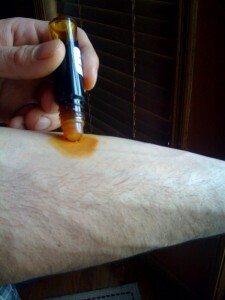 The claim is that you can tell if you are iodine deficient by painting a spot of iodine on your skin. If it disappears quickly then this is believed to be a sign of deficiency. However, this test holds no scientific basis. Iodine is converted [by the skin] to colorless iodide by reductants, including vitamin C, glutathione, and thiosulphate. Of course there is always the possibility that you could truly be iodine deficient and if you do suspect this, then do yourself a favor and get the proper testing you need to be properly diagnosed. Measuring your iodine intake as well as a 24 hour urine collection test to determine how much iodine is being excreted is one way to measure your potential for deficiency or toxicity. The easiest way to avoid iodine toxicity is to simply focus on eating a naturally healthy diet that contains healthy amounts of iodine. However, the topic of a truly healthy diet is quite complex as there are many other factors aside from iodine content that are important in improving and regulating metabolism and thyroid function. Want to learn more about what’s required for a truly healthy thyroid diet? 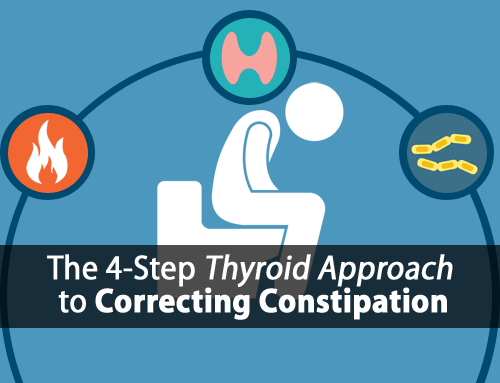 Check out this simple and easy to follow step-by-step plan to jump-start your thyroid. The bottom line is… myths are everywhere, so don’t blindly believe everything you hear. Avoiding iodine supplements, iodized salt, and other foods that are abnormally high in iodine is a necessary and important step in avoiding iodine toxicity and properly regulating thyroid function. Blindly taking an iodine supplement when you’re not deficient, or over-consuming super-foods that aren’t so super… can become an accident waiting to happen. Tom your articles are pretty straightforward and to the point. I have tried the trick of adding a dash of salt to O.J. and frankly it does inmprove the taste, I use sea salt and as this is product supposedly from salt water which is sea water is this so, mething that is considered bad for your thryouid when you are dealing with long term hypothyriodism and Hashimotos’ disease? I have been off any medications for thyroid for almost 70 days, I feel even more tired and I am following your planned program on foods and the combination of them. I don’t eat shell fish, not because I don’t enjoy them, but because they are far too expensive to purchase her in the desert SW. I did add back bread into my diet and unfortunately as this is a gluten free bread is filled with more than just gluten free grains and this includes soy in nearly every thing that is made gluten free…..this is something that I am also allergeric to and thus another item to leave out of my daily meals. Most americans consume far too much soy in chewing gum, candy bars, dark chocolate bars, breads, cookies, microwave meals…..why is it that our manufactures are not listing the contents of their products accurately? Totally behind you & support you on this, from personal experience: If I want my throat to “close up”, all I need to do is eat seaweed and my goiter expands in response! So weird! Thank you, Tom, for bringing this information back into the light. Hi Tom, If we do an iodine loading test and it shows a deficiency, for example 75%, do you suggest we supplement to get our level up to 100%? I don’t think it’s necessary. Getting more than adequate iodine is easily done through diet. It would still be safer to use a slight excess over a few months than to use a large excess over a short period of time. Those are some old articles you are sharing, anything more current since the rise in Hashimoto’s in the U.S.? Not sure what you mean by old articles? Research doesn’t get “old” unless it is invalidated. These are only a few of the dozens of studies showing more of the same. Its well explained thing about Iodine. I couldn’t believe I’m over passed my daily recommendatiom like this, but the problem is, toxity is everywhere, I read that chloride and other-like chemicals absorb the Iodide and Iodine in your cells, so I’m not worried if I overpassed my recommended daily dose. Also most food are processed and that process rip.out it’s nutrition. So as I said, for this case it’s impossible to pass your daily recommendation if you are like most people unless you live in a bubble your whole life. So all of the dozens of research studies are wrong? Im not saying it’s wrong, Im just saying maybe the studies overlooked the fact That twe are mostly in toxic enviroment. I Know you said studies dont get old, but a few consideration could be taken as the heavy metal toxity is on rise these days. Also age plays a role right? Debbie, I just left a comment for Tom regarding your question, as it is mine, too! I noticed he hadn’t replied to you, but we know he’s busy! : ) I hope we get our answer soon. Also, if you’re looking to add superfoods to your diet, have you looked into Cacao Powder and Maca Powder. Good stuff , especially for women. : ) Good luck. So in case I have missed something are there large volumes of JAPANESE who are HYPO THYROID as they consume seaweed on a regular if not daily basis? I have been diagnosed with Hashjmotos. Will you tell me more about it and maybe some thoughts as to how or why I may have acquired this condition? I tire so easily, Thank you. Hashimoto’s is hypothyroidism but with an immune component. There are a few issues with Hashimoto’s that need to be addressed. 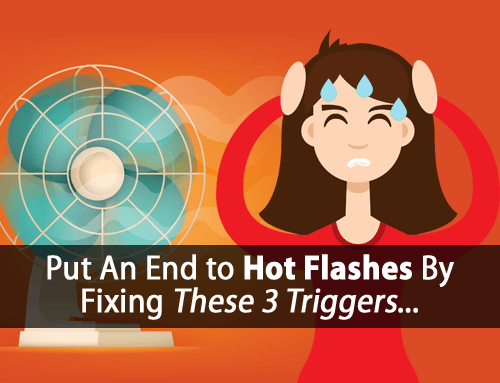 There’s an issue of metabolic dysfunction that occurs with hypothyroidism where your cells end up taking up excessive calcium and estrogen becomes excessive. The estrogen blocks the proteolytic enzymes that allow the thyroid gland to release its thyroid hormone, driving the hypothyroid aspect. 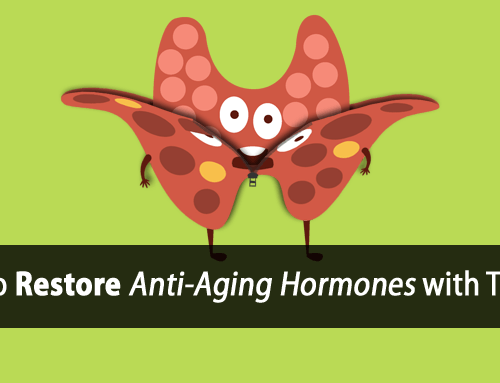 Estrogen and stress hormone are both well known for causing involution or damage to the thymus gland. The thymus gland sits right behind your breast bone and regulates your immune system. So, damage to the thymus gland affects immune function. Studies have also shown that elevated estrogen increases the production of autoimmune antibodies. Hi Tom! I am a member of the Hypothyroid Revolution. I think that was what it was called. : ) anyway…I have been off my medication (last on Armour) which helped immensely in the beginning . When I signed on with you, I adopted your eating plan and try to follow it regularly. And I believe it was my saving grace. Its been about 5 years or so. My weight plateaued, for a long time, but has increased slowly over the last 2 or 3 years. But I think thats my fault, not my thyroid. My question is a repeat from Debbie on Oct 2. I have tried to incorporate Maca powder and Spirulina and Wheat Grass into my diet . But my concern about the green superfoods is the green part. She asked if the green ones are safe for us or a “no no”. Can you fill us in ? Thanks for all you do! Thanks for providing science-based information. The first doctor I went to see for help with my hormone issues was a flake. She had me do the iodine spot test which I failed massively. she immediately had me start taking iodine pills. I did a little research online and found out that barely any of the iodine placed on the skin is bioavailable (I think it was an NIH study). Just come across this website and very interested in this diet. Also interested to know about Maca, wheat grass and barley grass. Thank you. I too am curious about Wheat Grass as I take it daily in my smoothie or with my oatmeal. Thanks Tom. Did anyone else get a response yet? The problem is in a perfect world the rda recommendations for iodine would work, however, today most people need more due to the presence everywhere of iodine antagonists – bromine, chlorine and fluorides. Also, many of us today due to poor digestion especially those of us with thyroid issues have a poor rate of absorption. Just because we take in the recommended amount of something, doesn’t mean we are absorbing it all, most of us aren’t. Madonna, Louise Dunn. I’ve read somewhere that this high-priced Spirulina and Co. are not good for you unless you are a cow with the appropriate stomach(s) for grass.